"I passed my driving test!" These are just a few of the happy people who we helped pass their driving test. We also helped most of them pass their theory test too and and we’re pleased to say that most of them passed both tests first time. 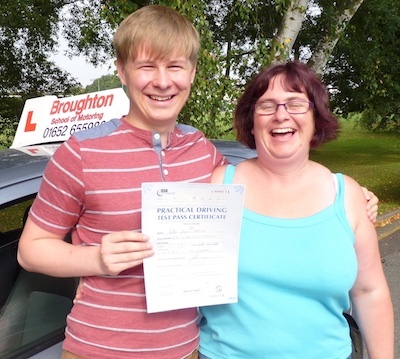 Nearly all of them took driving lessons in either Scunthorpe, Brigg, Broughton, Winterton or the surrounding area. Did they enjoy their driving lessons? Read their reviews and testimonials. If you want to get your photo on this page all you have to do is call or text Steve on 0784 0055 462 send an email or send us a message on Facebook.